Easy to pair with any device. The 1226-16 Bluetooth Speaker Accordion Lantern Flashlight is a very stylish blend of lantern and music box. These is a great idea for travel or camping promotions. Or even a sleepy time campaign for a bedding or mattress client. 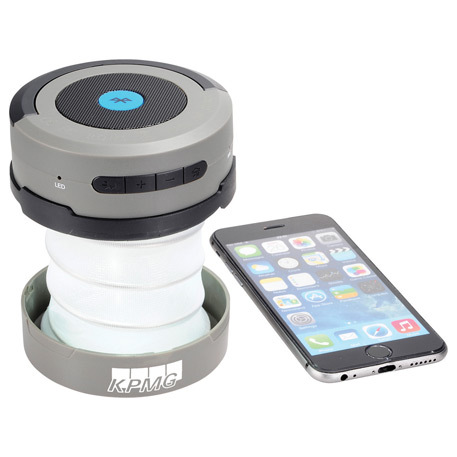 Pop up this LED Bluetooth speaker lantern in a flash and stream audio from your Bluetooth enabled devices from anywhere. This lantern can be taken with you on the road, used for outdoor events or kept in your home for enjoyment. 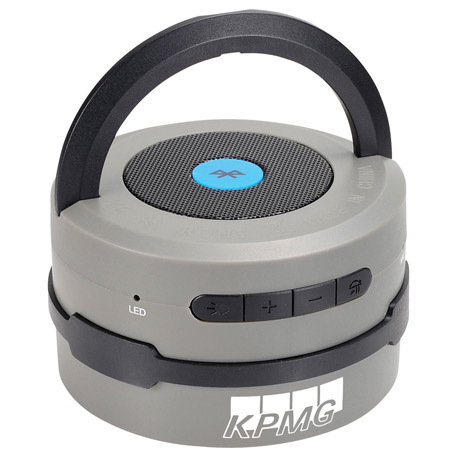 With the built in microphone, you can conference call on-the-go through your smartphone. Push on/off button for flashlight. FM/AM radio. Includes USB recharging cable. The imprint area on the 1226-16 Bluetooth Speaker Accordion Lantern Flashlight is one color only and 0.50″ H x 1.63″ W. A 1-piece black gift box is standard packaging. Please contact us at info@proformagreen.com if you would like more information on – or samples of – the 1226-16 Bluetooth Speaker Accordion Lantern Flashlight. This entry was posted in Backpack, flashlight, headphone, speaker. Bookmark the permalink.